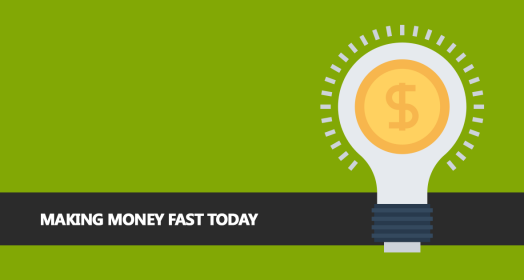 The idea of earning money is fast is an interesting one. There are certainly ways to go about doing it. For those who want to learn how to get money fast, it is important to understand that you have to give something. This will provide you with a reason to actually receive the money. This is probably one of the most well-known and easiest ways of getting some quick cash. If you find yourself stuck somewhere, all you need to do is whip out an instrument and start playing. Set up a hat or a box in front of you. People will then throw whatever spare change they have into the box. Sometimes, they will even be a little more generous than usual. You may be surprised at how much you can earn within the space of a few hours. Those who decide to do busking will also have to consider the other options they have. You do not necessarily have to play an instrument. If you have a good voice then try singing. You will be amazed at how much attention you will receive from everyone else. This is a unique and entertaining way of getting money. A moving statue needs to be a work of art. As a result, you have to really put a lot of effort into it. It is also a good idea to have a trick of some description. A lot of people will maybe hand something out for free, like a rose. Moving statues can be literally anything. The only limits in this regard are you creativity and what you can put into it. If you choose to work as a busker or as a moving statue then you need to look for somewhere with good foot traffic. Also make sure to check city or town regulations. In some countries, you may have to get a license in order to actually do anything. It is important to check this out first.